Smart Control is a feature on the DV457 that allows you to control certain functions on the dryer from a smart phone (Android and iOS). IMPORTANT: In order to use Smart Control you must first download the Samsung Smart Washer/Dryer App. 1. Turn on the dryer, by pressing the power button. 2. Verify that the dryer is connected to a wireless network. 3. 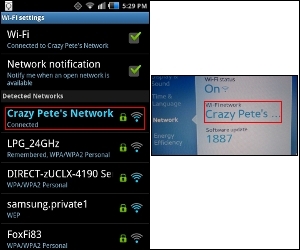 Verify that the smart phone and the dryer are connected to the same wireless network. 4. 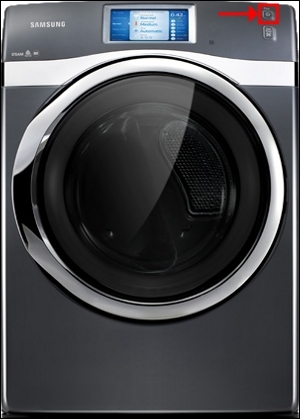 On the smart phone, locate the Samsung Smart Washer Dryer app and open it. 5. Touch the Dryer icon at the bottom of the screen, and then touch Indoor Control. 6. 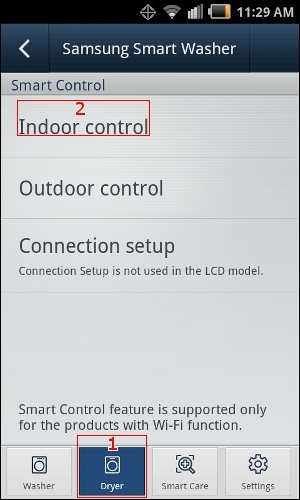 After the phone has finished searching for the dryer, touch the dryer's model code in the Device List. 7. When the Smart Control options appear, select any of the options. 8. When the Smart Control Confirm window message appears, turn on the Smart Control feature on the Dryer's Touch Screen, and then touch Confirm on the phone. 9. Smart Control is now activated and the dryer can be controlled from the smart phone. How do I use the child lock on my DV8600 Dryer with MultiSteam, 7.4 cu.ft (DV50K8600EV)?